Goalkeeper Keylor Navas became the first Costa Rican player to win a Spanish League championship following Real Madrid’s 2-0 victory against Malaga on Sunday. 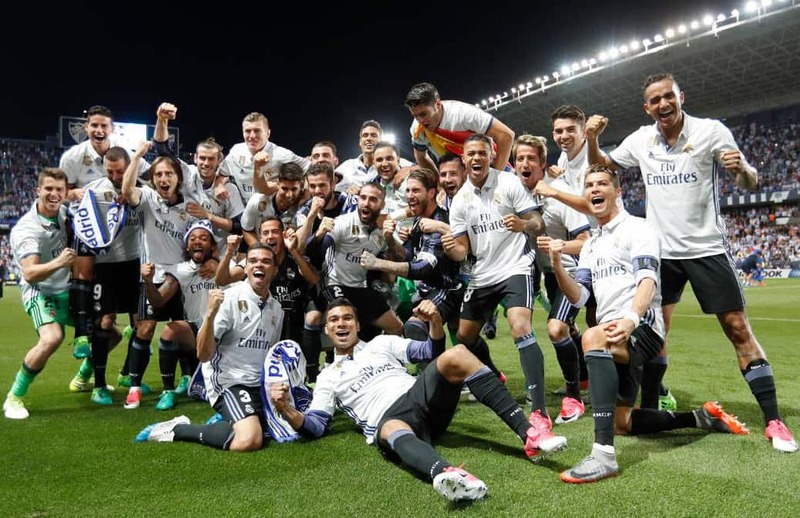 Real Madrid won its first La Liga title in five years, and the team’s 33rd. The win over Malaga allowed the capital’s squad to reach 93 points, 3 more than former champion Barcelona, which placed second after its 4-2 victory over Eibar, also on Sunday. This championship with Madrid is the fifth title for Navas with Los Blancos. He also won the 2014 UEFA Super Cup, the FIFA Club World Cup in 2014 and 2016, and the 2016 UEFA Champions League. Following the match, Keylor talked to the media displaying a newly clean-shaven head. The Tico said he dedicated the title victory to children with cancer or other diseases. “I pray to God for all of them to recover from their illnesses. For all of the kids fighting cancer. For their families, for those who keep fighting. This title is for them,” Keylor told reporters. Madrid star Cristiano Ronaldo scored the first goal in the first minute of the game. Karim Benzema added the second at 55′. Keylor contributed to Madrid’s win with six saves. The most outstanding occurred 20 minutes into the game, when the Tico deflected a potent shot near the corner of the goal. Malaga tried to score throughout the match, but Keylor and his defens were always there to keep their sheet clean. Malaga’s last attempt came in the 89th minute, with a potent shot that hit the pole. The Tico will now have the chance to win another title on June 3 when Real Madrid plays in the final of the 2017 Europe Champions League against Italy’s Juventus. Navas’s fellow Costa Rican star Shirley Cruz will also be playing in a Champions League final this year: Cruz advanced to a remarkable third final with Paris St. Germain. The Parisians will take on Cruz’s former club Lyon on June 1. In 2011 and 2012, Cruz won consecutive Champions League titles with Lyon. ESTO ES LO BONITO DEL FÚTBOL.